The Beetle Boat Shop has a long history of spar building dating back to the whaling days when they built the spars for the Beetle whaleboats, and also the whaling ships, most notably the Charles W. Morgan. That tradition continues, as the Beetle Cat spars are all built in-house using 4×4 douglas fir, carefully sourced and brought in green from the west coast, and then stickered and air-dried. The Beetle Shop also builds all the spars for its custom boats, using both solid and hollow methods. The gaff rigged 28′ Hanley Catboat Kathleen’s spars were built solid out of spruce, cut down by its Owner in the forests of Cape Cod. For the 26′ Herreshoff Alerion Thetis, the shop thoroughly researched and replicated the hollow spar method used by Herreshoff Manufacturing Company to make its gunter rigged spars. The hollow sitka spruce Beetle 14 spars are built using the birds mouth method of construction. 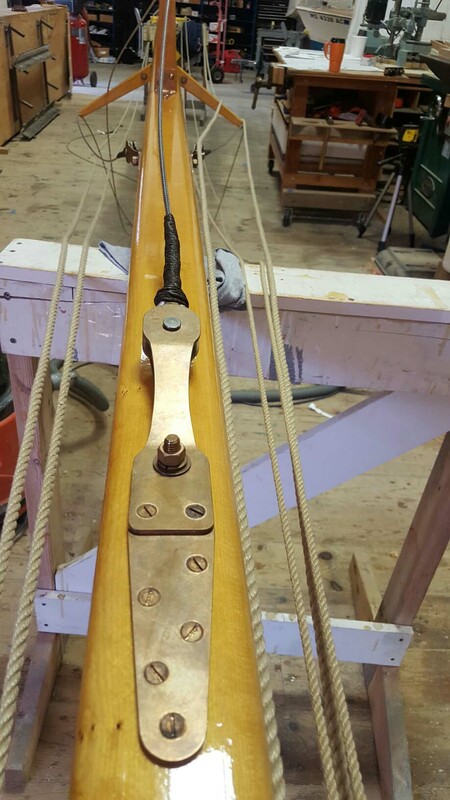 History came full circle when in 2013 we once again built spars for a Beetle Whaleboat that sailed aboard the Charles W. Morgan. 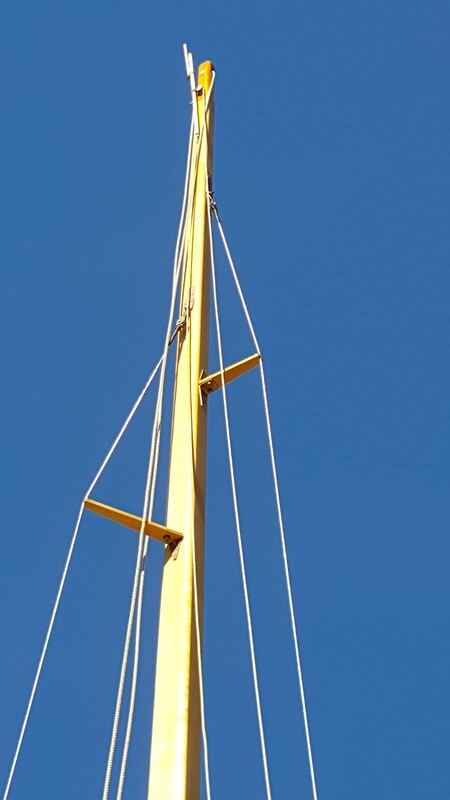 We also provide maintenance and retrofitting of older spars, sails, and rigging, as was done in the case of the 32′ Noank Schooner William Bassett. In 2014, the Beetle Shop purchased the spar making equipment from Pleasant Bay Boat and Spar Shop during their liquidation process. 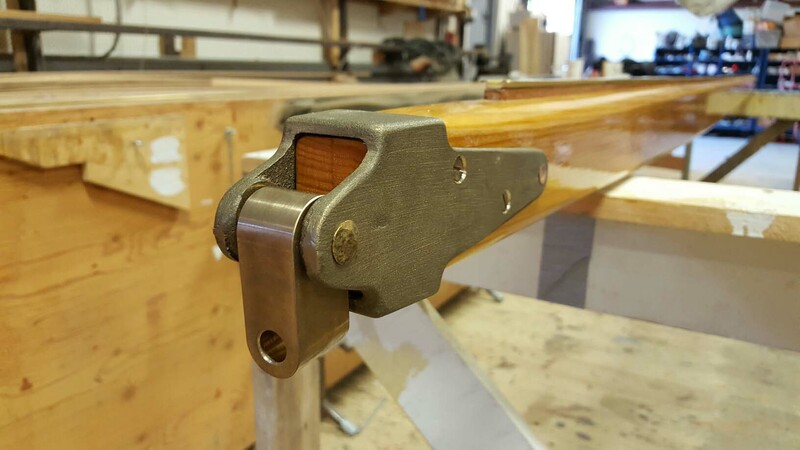 The newly purchased equipment, coupled with the same quality of materials and craftsmanship put into the Beetle Cats for over 95 years, allows us to produce custom wood spars of the highest quality at a reasonable price. 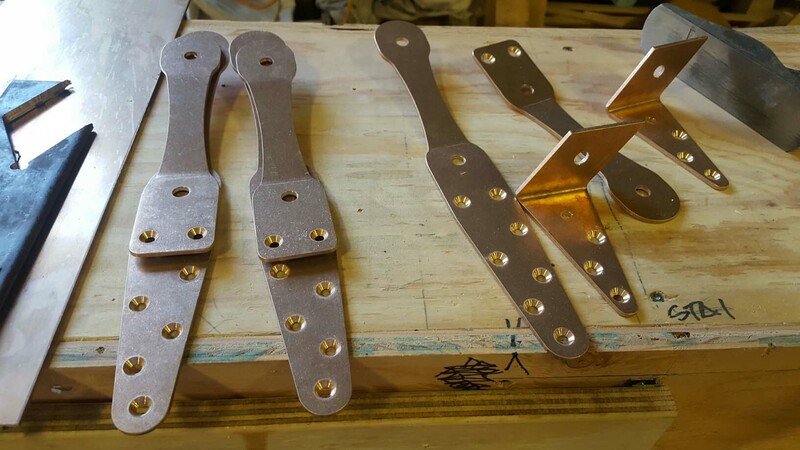 Our most recent projects include: hollow spars for the Bay Lady II commercial Schooner out of Provincetown; hollow spars for the 36′ gaff rigged Raceabout Sloop Eleanor; a Sanford Alerion box section mast; and hollow spars, hardware, and rigging for the marconi-rigged 16′ Catboat Duck. Contact Us for all your spar and rigging needs. 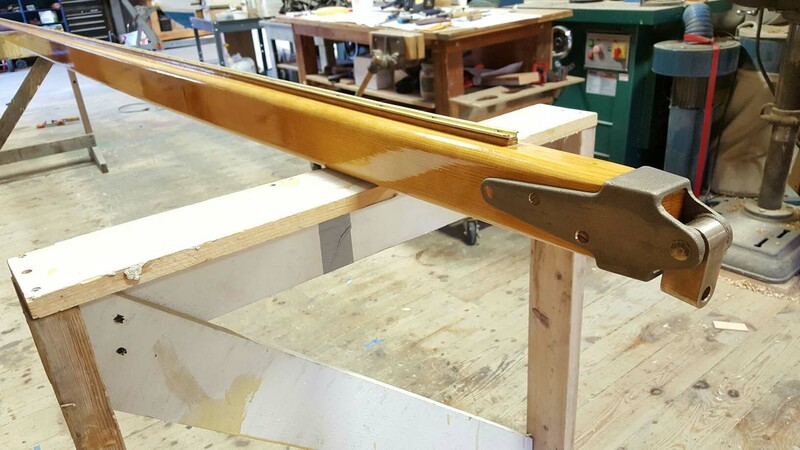 The same expert woodworking skills and techniques used in spar making are now being applied to building our Beetle Flagpoles. Each Beetle Flagpole is handcrafted to order out of douglas fir. The flagpoles are fabricated using a “bird’s mouth” joint that results in a very strong hollow construction. Using a formula to calculate the exact wall thickness and stave width in order to achieve an accurate diameter, as well as a stable pole, is a key component of the process. A coat of Smith’s penetrating epoxy is applied as a primer coat, followed by a white primer and two coats of marine grade polyurethane paint. The pole is topped with a hand turned truck made of lignum vitae, and a solid douglas fir ball finished with genuine gold leaf. The halyard is run through holes that are drilled and carved in the truck eliminating the need for any metal hardware. The pole comes complete with a bronze cleat for the halyard. Optional: YARDARM Add $1,200 to above pricing. Delivery and Installation available, along with other custom lengths. Contact us for pricing. Beetle, Inc. guarantees superb craftsmanship, careful selection of materials and intelligently engineered product that will stand the test of time and weather.